Whether you’re looking to resolve pain, general stress, just want a treat or in need of some deep relaxation, I have the appropriate treatment for you. Massage boosts the immune system, stimulates the circulation and the lymphatic system, increases energy levels and induces calm in both mind and body. 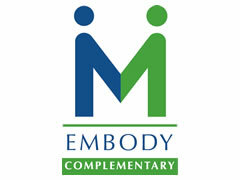 Massage releases endorphins, the pain-relieving happy hormones. Massage stimulates the parasympathetic nervous system, which slows the body down, encourages deeper breathing, lowers heart rate and switches digestion back on. Massage relaxes all the systems of the body, which either shut down or speed up as a result of stress, and helps with stress related conditions such as IBS, insomnia and headaches. Massage stimulates the body’s natural ability to repair and renew, at cellular level. Massage helps treat depression and symptoms such as low self esteem by boosting wellbeing which improves mood and assists one to get back on track. Healing touch through massage is very powerful. A treatment session is a great opportunity to truly relax on a mental and physical level. An hour or so dedicated to yourself in this way takes you away from your worries and into a state of deep relaxation.